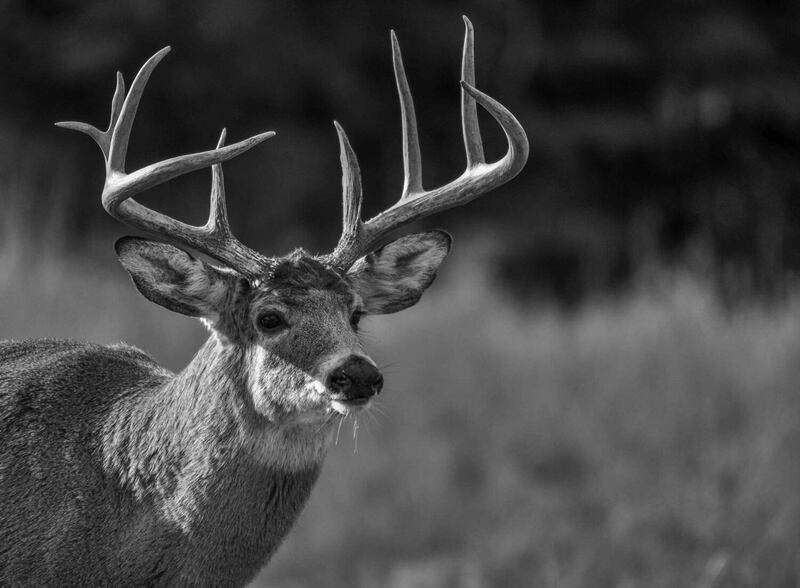 We’ve compared a full range of deer attractants in terms of attraction effect, benefits to deer, ease of use, proven results and economy, and found the Evolved Black Magic to be the granddaddy of them all. Not only will you be attracting deer with it, you’re dispensing essential minerals needed for buck antler growth and doe pregnancy and lactation. The use of bait for hunting is forbidden in all states. Any attractants that deer might eat or lick are considered bait. At designated wildlife refuges and parks, the use of such attractants is forbidden even for non-hunting purposes. Some states outlaw even non-food deer scent attractants. The killing of big game animals is outlawed within a few hundred yards and a number of days where the attractants can be found. With this out of the way, please do not use the info contained within this write-up for hunting. This article is about deer attractants for trail cameras, food plots, and deer lovers who simply find it awesome to feed the deer. The latter is not too different from dog lovers who take pride and joy in fostering stray dogs, is it? If you’re an inexperienced hunter desperate for your first kill, find an experienced hunter and tag along. 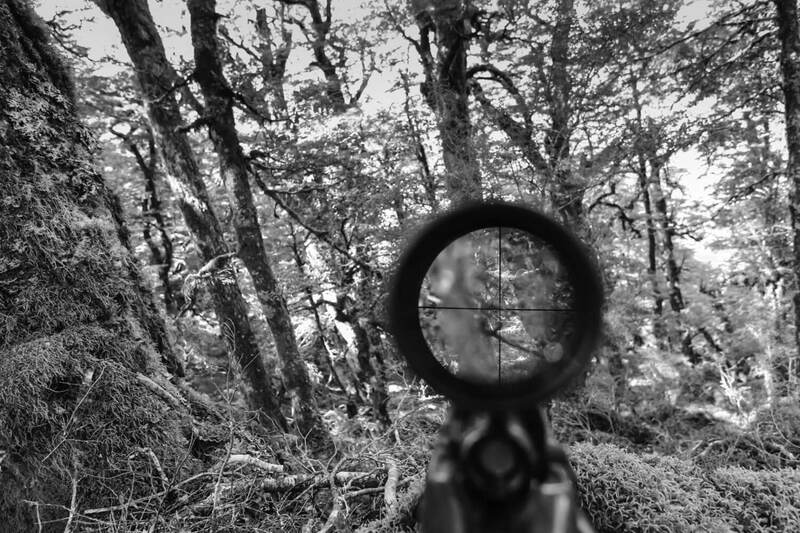 Experienced rifle and bow hunters need no attractant to make a kill. Learn the tricks and don’t risk a ticket. There are different types of attractants available commercially. They are either scents, blends of nuts and grains, or minerals and vitamins in solid or liquid form. Here are the best deer attractants for reliable trail camera action and feeding frenzy. 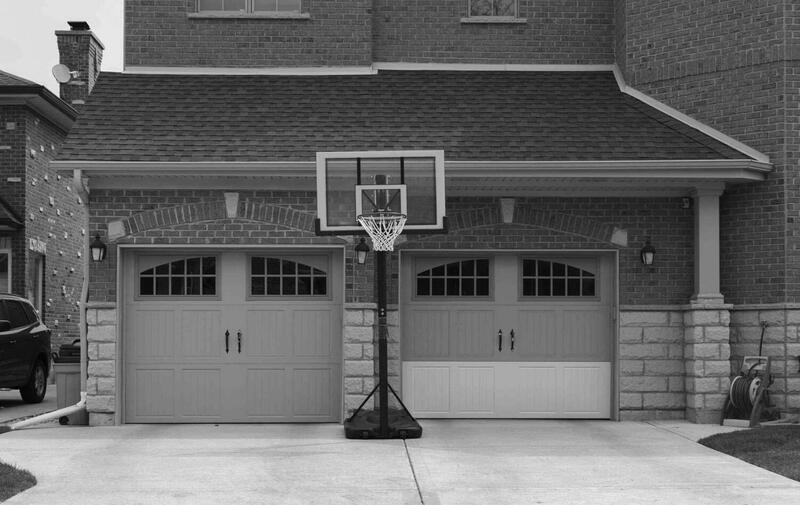 Mossy Oak is a well-known outdoor brand. It is the top name in hunting camouflage and food plots, so naturally, the company would make some kickass deer attractant products. 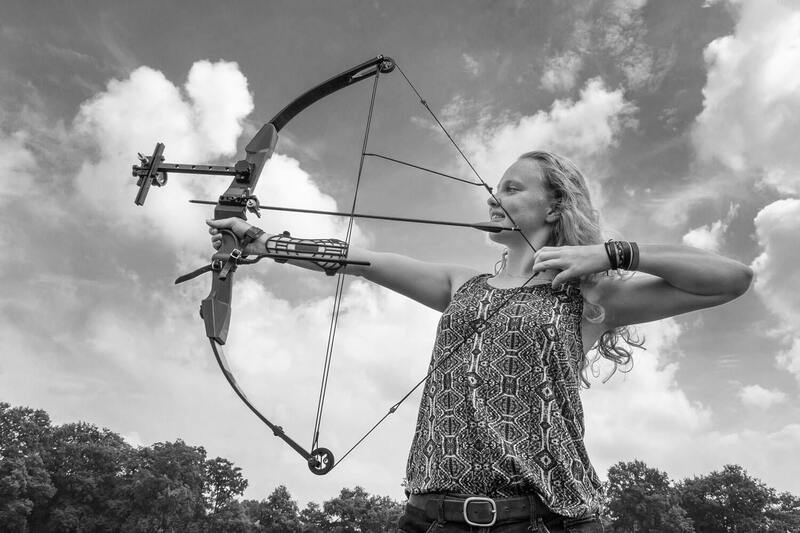 The newest and best is called Whitetail Attraction Chestnut Magic. This deer attractant is under Mossy Oak’s Biologic brand. As the name suggests it’s a mix of chestnuts and grains. According to Mossy Oak, chestnuts are much more powerful at attracting deer than acorns because they are sweeter and contain double the protein and quadruple the carbs found in acorns of the same weight. 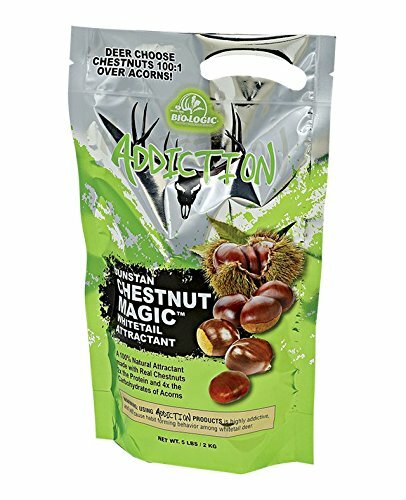 We can’t verify the claim except to say that this Chestnut Magic mix is indeed irresistible to deer of all sizes. Pour the whole bag near a deer trail, set up two cameras – one for close-up and one wide-angle – and you’re bound to wind up with breathtaking pictures and videos. One cool thing about deer is they don’t fight over food. They couldn’t believe the bounty but they like to act real calm about it. If you’re lucky you’ll even catch a few big bucks checking in later in the day. It has been pointed out that the amount of chestnut in this so-called Chestnut Magic mix isn’t all that generous. Hey, it works and what can anybody expect for less than ten bucks? Wildgame Innovation is most well-known for its trail cameras. It makes total sense that the company would also make some banging deer attractants to better show off its trail cameras. In fact, its lineup of deer attractant products numbers more than 3 dozens. The best one of the bunch in our experience is the popular Acorn Rage. This particular version of Acorn Rage is endorsed by Buck Commanders (the TV series that ran on Outdoor Channel from 2010-2016). Acorns are totally irresistible to deer for their taste and nutritional values. The acorns in Acorn Rage are crushed and mixed with proprietary oil-enriched roasted soybean meal and rice bran and turned into kibbles via an extrusion process. Deer can smell acorn from far away. The smell of Acorn Rage puts them into a state close to frenzy. They’re not going to head over right away though since they’re sneaky creatures. Oh, they’ll come alright. You’ll see. The instruction says to put this stuff on the ground or in gravity or trough feeders. We prefer spreading a whole bag on the ground to capture in photography the interactions of deer eating and hanging around. The nutritional label says 25% protein and 17% fat. If you’re familiar with dry dog food, the protein and fat contents would surely sound familiar. This is good stuff. 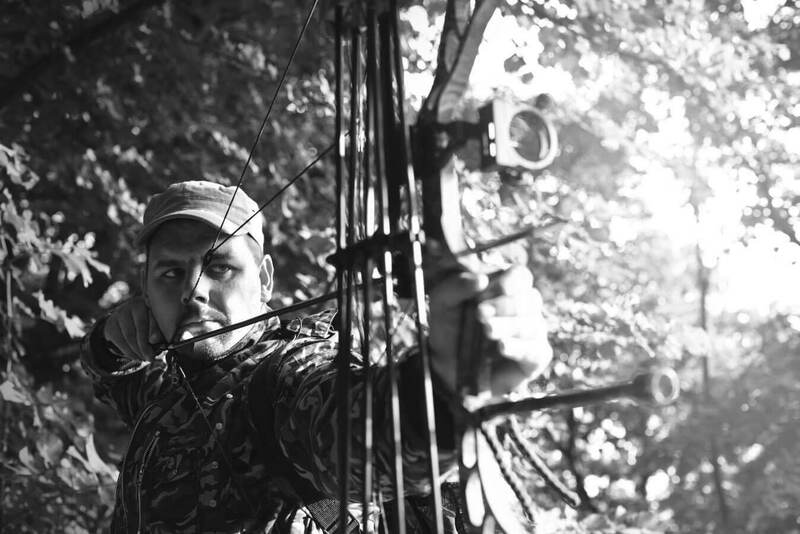 Evolved is a brand of Plano Synergy Holdings, Inc., better known for hunting brands such as Barnett Crossbows, Ameristep (ground blinds and tree stands), and Avian-X (decoys and accessories). The company launched the Evolved brand with just one product and struck gold with the now-famous Deer Cane deer attractant. There are now over 40 products under the Evolved brand. Our favorite is the liquid deer attractant known as Black Magic. Evolved Black Magic is a liquid version of the Deer Cane. The original Deer Cane block needs to be activated by rain, whereby the chemicals will run off with rain water, seep into the ground, and the aroma would attract deer. So why not turn it into liquid form and just pour onto the ground? You won’t ever need a rain dance this way. 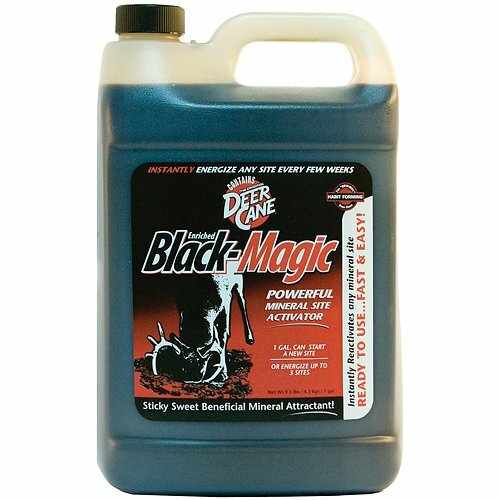 Black Magic also contains additional minerals and flavor attractants. It wouldn’t be an exaggeration to say that deer love minerals more than health freaks who take 20 supplements a day. Deer are known to dig a few feet into the ground to reach minerals. One caveat is that this product contains chemicals listed in California Proposition 65. There are hundreds of chemicals on the CA Prop 65 list that can supposedly cause cancer. The major criticism of the list is its generality – if you’ve been to California you’d notice CA Prop 65 signs everywhere. You can even find alcohol and common benzodiazepines like Xanax and Ativan on the list, to the extent that many people have stopped worrying about it. We found the Mossy Oak Biologic Chestnut Magic and the Wildgame Innovation Acorn Rage to be equally effective overall. 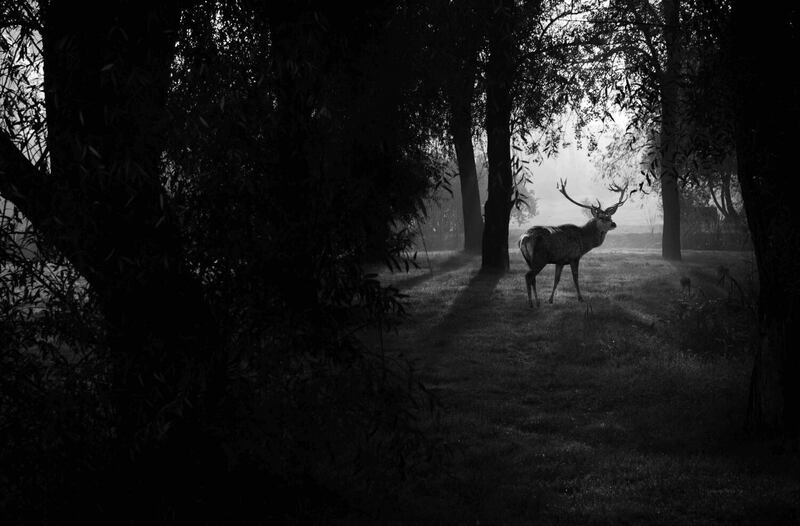 To be more specific, however, the level of attraction for each is going to vary according to individuals and herds of deer in different habitats. Deer take their time feeding on Chestnut Magic, so it’s the best deer attractant for trail cameras. 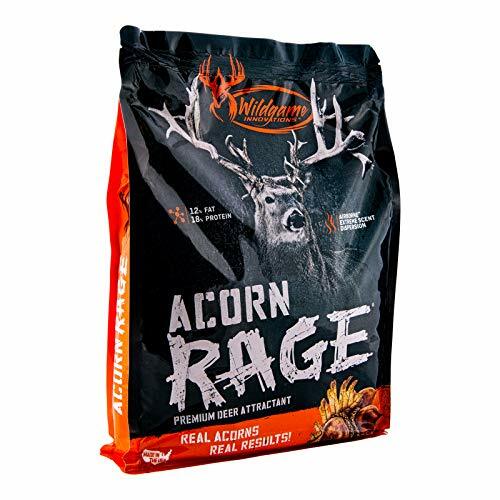 Acorn rage is best for food plots and feeding of deer. As for the best of the best, that would be the awesome Evolved Black Magic liquid minerals. Deer go certifiably bananas over this stuff. This is it if you demand the best deer attractant. Evolved Black Magic is a no-brainer purchase considering it’s available on Amazon as of this writing at a steep discount off the listed price of $12.